The focus of Yasukichi Murakami - Through A Distant Lens is the Japanese-Australian photographer, Yasukichi Murakami (1880-1944), who came to Australia as a teenager and spent the rest of his life here. Director Malcolm Blaylock has set the show simply and elegantly, employing only two screens upstage and minimal furniture, and has achieved a satisfying balance between live narrative, re-enactment, interview, video and photography. Read the full review . Georgia Moodie interviews Mayu Kanamori and the cast in the Stone Houses in Darwin, where Murakami used to have his studio. Michael Cathcart asks - why haven't we heard this story before? Listen to the podcast . In Vietnamese culture, Pauline Nguyen says, the things that are hardest to say can sometimes be expressed with food. Read the full story . THEATRE: The Serpent's Table, a moving work of autobiographical theatre that for me was a perfect end to a festival in which the intimate shows offered the richest pickings. Read the full story . 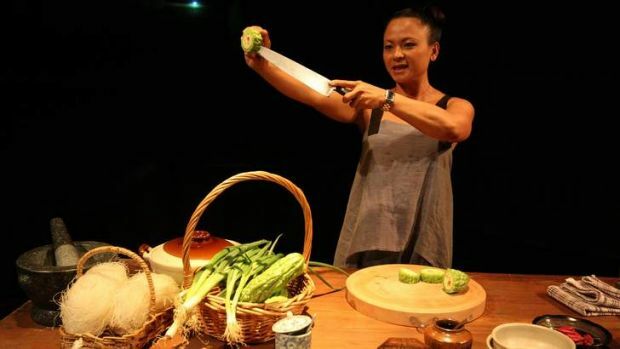 This multi-sensory performance of food and storytelling is a feast for the belly and soul. Read the full story . Food and theatre have always been connected, from feasts enlivened centuries ago by live entertainment to theatre restaurants recreating food-serving farce from the classic sitcom Fawlty Towers. Paul van Reyk and Jenevieve Chang feature in this lovely story that reveals the power of a good narrative. 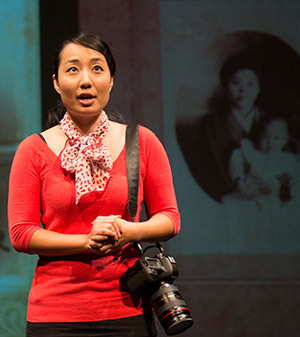 In her review Lian Low comments, "It’s incredible how powerful storytelling can render ‘ordinary lives’ so extraordinary"